Background/Info: Llumen is a Belgian solo-project driven by the creative spirit of Pieter Coussement. The band ever started as a 3 member formation, but since 2009 Coussement remained the only member on board. An interesting facet of this musician is the fact he works as a researcher at the ‘Institute of Psychoacoustics and Electronic Music of the University of Ghent (Belgium)’ where he develops new user interfaces and instruments for electronic music. This essential aspect of his daily job is of course transposed into his music activities and has an impact on the Llumen sound. 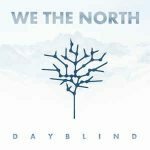 Content: The previously released EP “Cold In December” was a solid teaser to welcome this debut album. 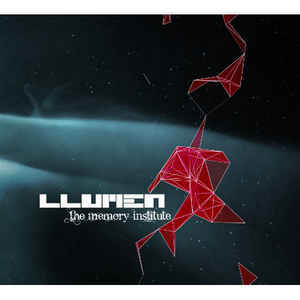 And Llumen took me by surprise unleashing a mature and sophisticated production mixing different electronic genres. I often got the impression to hear a hybrid between Haujobb -for the more atmospheric and complex side, and Covenant -for the danceable and intelligent EBM/future-pop approach. Llumen is not reinventing any single electro-underground genre, but clearly deals with an elaborate and bright side of electronics. 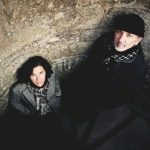 The songs are diverse, moving from cinematographic passages with orchestral arrangements towards refined constructions and other great sound manipulation sometimes evoking Seb Komor. The limited edition will give you the opportunity to discover remixes by Vudovox, Diffuzion, Mildreda, Sinfusion, Venal Flesh, Psy’Aviah, Totem Obscura vs. Acylum, Benjamin’s Plague, Noire Antidote, Antibody, Diskonnekted and Simon Carter. + + + : I was especially flabbergasted by the intelligence of the writing and maturity of the production. “The Memory Institute” doesn’t sound at all as a debut album. The already familiar songs from the EP remain some of the main attention grabber, but I can also mention “Silicon Cinema” and “Where We Collide”. There’s this sweet harmony between evasive atmospheres perfectly matching with the rather clear and controlled way of singing on one side and some harder and more kicking passages on the other. Most of the remixes bring a cool alternative version to the original versions of the songs. I here get a little preference for the work of Psy’Aviah, Venal Flesh, Diskonnekted and Vudovox. – – – : You have to be a little bit patient when listening to this work. Llumen is not exactly the kind of sound that will immediately move you into dance. You have to let it grow on you to really catch the impressive strength of the production. Conclusion: Llumen walks on a sonic path, which is less visited by other artists. It’s not the easiest and accessible sound, but I’m sure it will be loved by fine tasters. Best songs: “Lux Aeterna”, “Where We Collide”, “Silicon Cinema”, “Force Of Nurture”, “The Memory Institute” + “Cold In December – Psy’Aviah”, “Lux Aeterna – Venal Flesh”.